Marketing is a strategy, it’s the decisions that are made around what has been known since the 60’s as the Four P’s. Product – Price – Promotion and Place, in 1981 three new elements were added, Physical Environment, People and Process, however most marketing strategies in SME’s still focus on the original Four P’s. The purpose of a marketing strategy is to set the company on a specific course in marketing which is aligned with the overall objectives of the business. For most businesses strategic decisions concerning the company’s product range, pricing strategy and sales strategy are fixed for the medium term. However strategic decisions around a promotional strategy are influenced by the success or failure of the chosen strategy on an ongoing basis. Up to the early 90s all marketing was traditional or analogue, since then digital marketing has evolved. Digital Marketing is defined as “The use of digital channels to promote market products and services to targeted consumers and businesses” Digital Marketing Institute 2015. The first e-commerce transaction happened in 1994, small search engines were launched in 1996 and the first social media site (SixDEgree.com) was launched in 1997 (it closed in2000). Google was established in 1998. Since then the challenge for those whose responsibility it is to devise a marketing strategy for their company is to choose between Digital and Traditional methods or use a combination of both. • What is the profile of your target market? • Are they more responsive to a digital or traditional message? 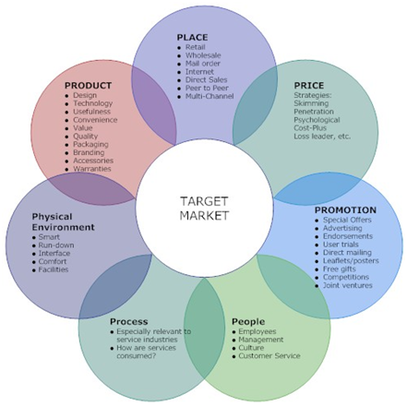 • How does your target market search for your products and services? • What feedback are you getting from your current marketing strategy? • What would constitute for you a successful marketing strategy? • What resources do you have to allocate to either strategy, digital marketing is less expensive than traditional marketing but less than 3% of people who search online actually buy. • In deciding what method or combination of methods to use it is essential you have a clear understanding of your ideal customer, how they respond to different marketing strategies should influence what promotional strategy you use, it’s essential to track the success of your promotional strategy to ensure that scarce resources are not spent on a strategy that is not relevant to your target market.